The Female Contact Ring series of parts are cut from parent strips and then rolled with the finger contacts facing the inside of the ring. 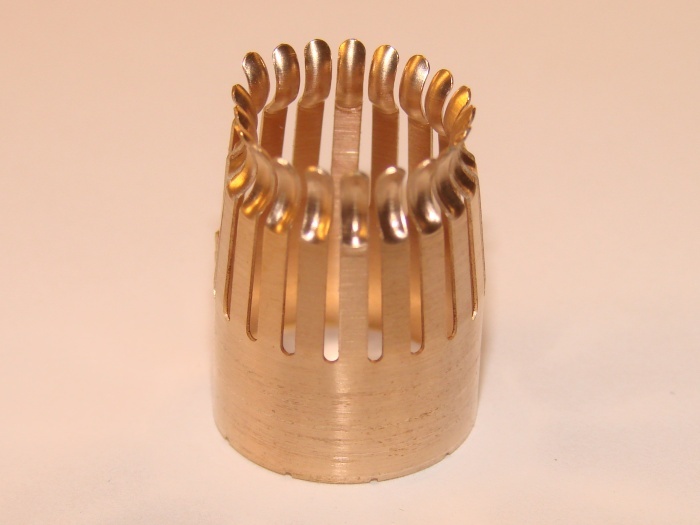 They are ideal for cylindrical contact applications. Part number 099-573-00 is produced from parent strip part number 099-637-00 and can be rolled to outside diameters as required (0.58" minimum O.D.). Please confirm ring parameters with one of our Customer Service Representatives.